Oh, hello, I didn't see you there, as my pecs made a better door than they do a window. It's been a long time since I've seen something that wasn't my bulkish flex. Hell, I've blinked so much that even my peripheral vision has biceps. But, you know, I remember a time, in the past — hence why I can remember it — when I wasn't such a powerhouse of lifting prowess. Indeed, in those days I was just a scrawny anybody with a dream to get big. Five gallons of Cheetos later I had realized I got big in the wrong way. But that's not the point. The point is I remember, in those days, playing many a game of Command & Conquer: Red Alert. And now, with Russia's actions in the Ukraine, I believe we can definitively state that life does imitate art, and games should now be classified as such. 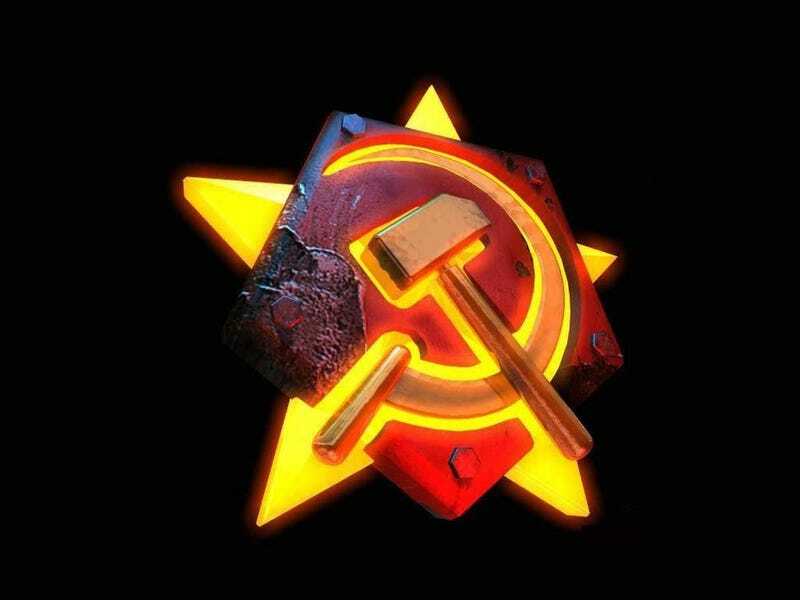 For without Command & Conquer: Red Alert, Russia would not be as brazen as they are right now. Indeed, it is as if they looked at Tim Curry's portraits, which must surely be plastered everywhere in the Kremlin, and thought we could do something like what he did and we will make him proud, in the name of glorious mother Russia. Unfortunately for the Soviet, or Russian, people — ya know, at this point, we should just start calling them Soviets again, for the fullest effect of Red Alert dominance — Tim Curry has expressed a differentiating opinion to me in an unbelievable interview event. Me: Mr. Curry, you played the Soviet Premier in Red Alert 3, a very mediocre game. What are your thoughts about the current affairs regarding Russia and the Ukraine? Tim Curry: How the hell did you get into my house? Truly, he is the philosopher of our time. As he kicked me out, and phoned the police, I wondered two things about our conversation: Was he siding with Russia in this conflict and how the hell could he still afford a place like this? But then, something clicked. He cast me out of his house. He kicked me out. Was it because I entered uninvited and helped myself to his assortment of delicious cheeses, or was it because I conducted the interview dressed in Soviet attire? Well, I knew the former could not be the case, because I actually helped myself to his wine instead. So, maybe his house represented Ukraine, and I came into his home to protect my interests of consuming anything in my path? And, when he phoned the police, maybe they represented the United Nations, who repeatedly imposed strict sanctions against my head, with their batons, until I passed out. That had to be what he meant by all of this. So, Russia, listen to your Premier. Stop your war-lust and come back home. Tim Curry's pictures are feeling lonely without your ceaseless gazes.